A lovely 5-stone diamond anniversary band set with a total of 1/2 carat of white diamonds in quality H Color, SI1-SI2 Clarity. The 14k white gold band has a stylish shared-prong designer setting and is set with 5 0.10 carat genuine diamonds for a total of 0.50 carats. Also available in 18k white or yellow gold or platinum (for 18k or platinum orders, please allow an additional 2-3 business days). This ring is made to order in the U.S.A. and takes approx. 5-7 business days before shipping. The band measures 1.75mm at bottom and 2.25mm at the shoulder of the ring. Setting top height is 4.09mm. 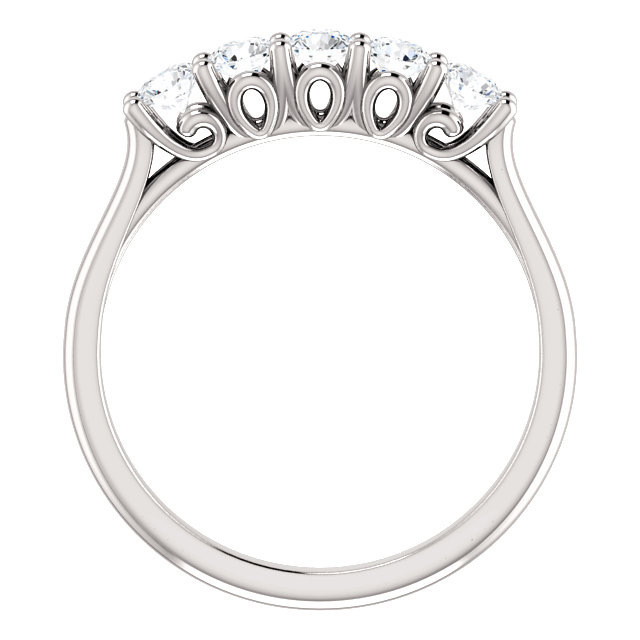 Perfect as an anniversary band or a diamond wedding band. 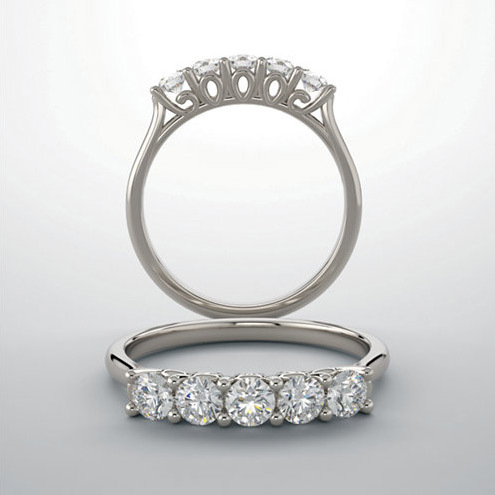 Also available in a 3/4 carat or 1 full carat size, shown below. 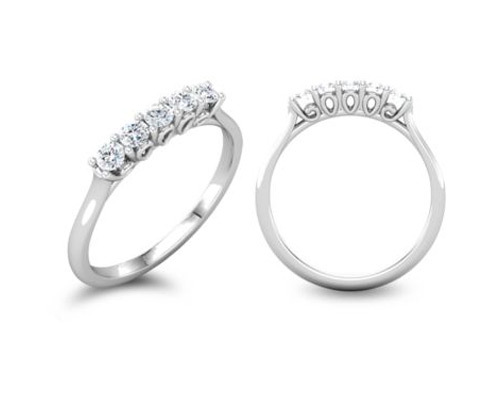 We guarantee our 1/2 Carat 5-Stone Diamond Anniversary Band to be high quality, authentic jewelry, as described above.